Last year I had several people comment to me about the weeds in my garden. 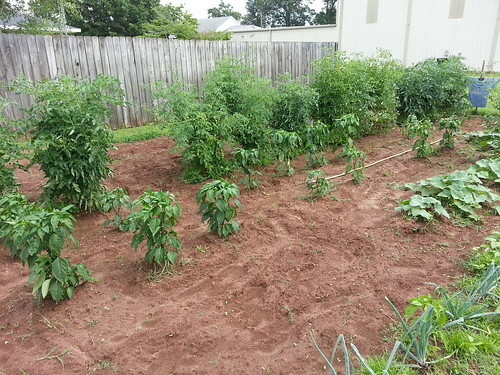 This year, I have worked hard to keep the weeds out and make sure the plants are well fertilized. Today I walked out to the garden, after a week from being away, just to check on the plants. I decided to take a few pictures and post a blog since the garden looks so good. This year our garden has two sections. One sections is just for watermelons. 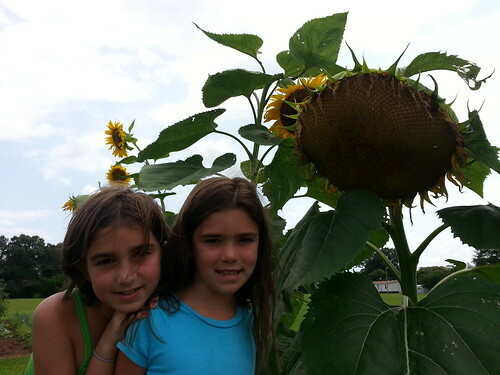 Well, I planted a few sunflowers for so the kids could watch them grow tall. The girls wanted to make scarecrows for each garden, but I don’t think the birds are scared. They mostly use it for a perch. 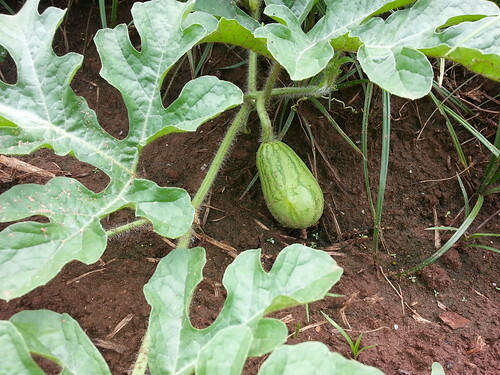 I have planted both Sugar Baby and Jubilee Watermelons. Here is a picture on a jubilee just getting started. The sunflowers have grown taller than I expected. They are just beginning to start producing seeds. The other section has peppers, tomatoes, potatoes, cucumbers, and onions. This year I planted three types of tomatoes: Beefsteak, Big Boy, and Cherry tomatoes. 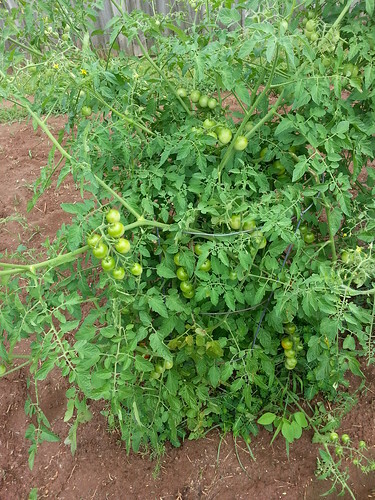 This plant alone must have over 100 cherry tomatoes. 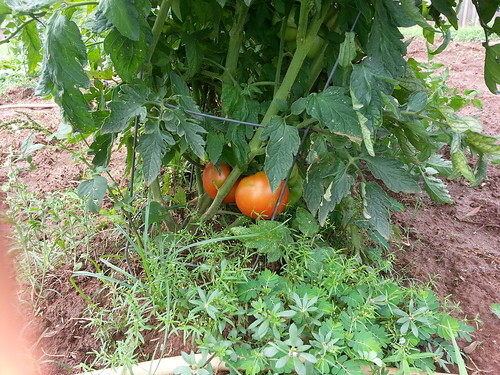 My beefsteak tomatoes are almost ready to start picking. There are eight beefsteak plants in total. I have planted a hybrid sweetpepper and a hybrid Jalapeño. 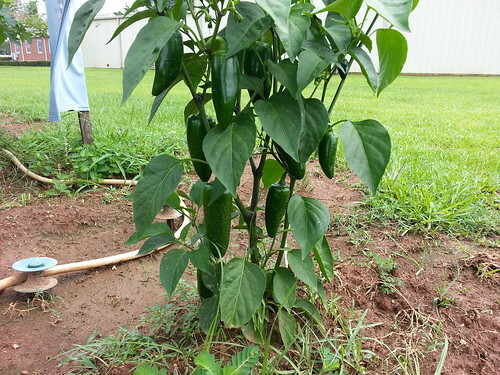 My sweet peppers are just getting started, but I have already begun picking the jalapeños. 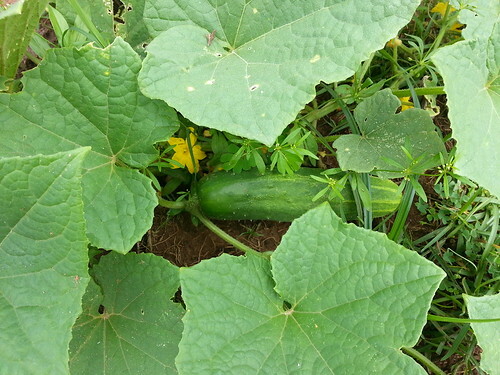 This is the only cucumber so far. It is almost ready to be picked. 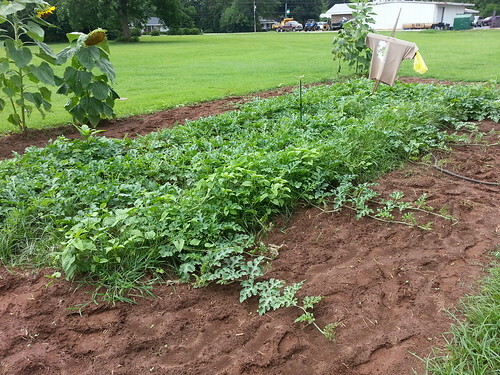 I have already dug up over 50 pounds of potatoes. I have planted more and don’t expect them to be ready for another month or so.